“Woodlands means excellence. Period.” The title of Jane Kronsberg’s 1995 review of The Woodlands Resort & Inn codified the entirety of the dining experience—the food, the ambience, and the service. The Woodlands, located in Summerville, SC, was fine dining at its best. It was recognized as such by a multitude of awards that came in years following this review, including the only Mobile Five-Stars awarded in the state, and the only perfect score for food by Conde Nast Travel in 2002. At the helm was Chef Ken Vedrinski, who, Kronsberg wrote, “is a master of his craft.” Coming from the acclaimed SwissÔtel Atlanta, Vedrinski brought principles of flawless execution kept lively with creativity and introduction of local, seasonal ingredients and an early adoption of the farm-to-table philosophy, a practice that earned him a place on The Today Show. 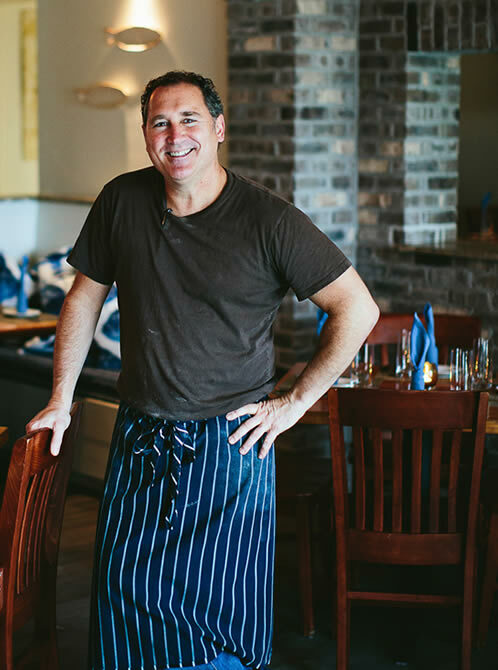 After a wildly successful start to his culinary career in the Lowcountry, Vedrinski left The Woodlands to build a restaurant of his own. He opened Sienna in Daniel Island, SC, and thus began his career as a restaurant owner and chef of Italian cuisine. Recently, we checked in with Chef Vedrinski to talk about the development of his career, his Italian influences, and to get his take on the restaurant industry in Charleston. 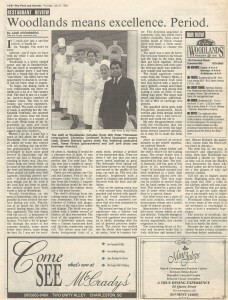 The review of The Woodlands was written in 1995, how has the restaurant industry changed since then? Ken Vedrinski (KV): Charleston wasn’t known as a culinary town. Back when I was at The Woodlands, there were only a few fine dining restaurants, Restaurant Million being one. Frank Lee and a few others were making marks downtown, but Charleston’s well-known chefs of today had not come to town, some weren’t even born yet. Back then, most restaurants were still pretty basic; we questioned whether Charleston was ready to move beyond shrimp and grits and Frogmore stew. We found success with a modest number of local foodies supported by a steady stream of travelers from outside the region. 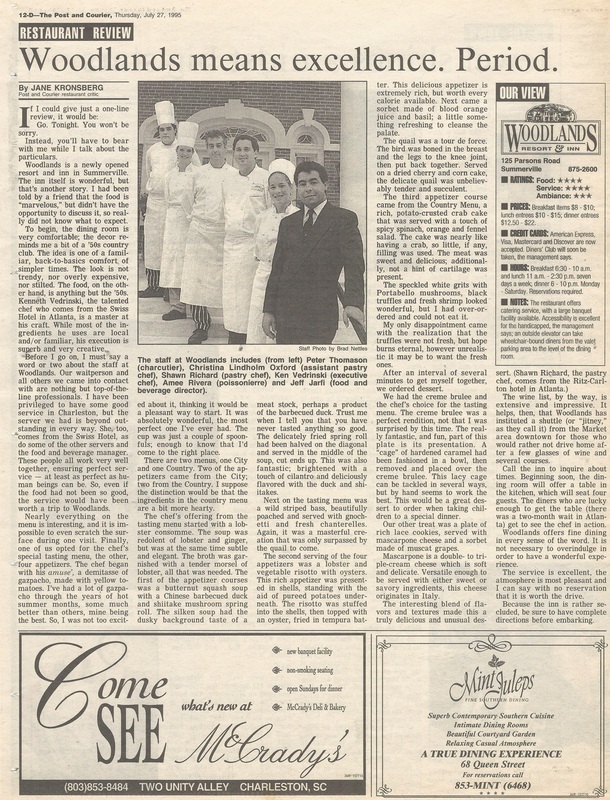 The Woodlands was the first in the area to receive national accolades, and I believe it was part of what put Charleston on the map, along with the work of Marlene and Louis Osteen and the Salute to Southern Chefs. That’s when things began to change for the city. The result of this work, and perhaps the most profound change for Charleston, Vedrinski said, has been the recent exponential increase in restaurants. He commented that the influx of new places is adding pressure to kitchen staff and front-of-house staff, as well. The lack of service and back-of-house staff has been reported on already, but Vedrinski went as far as to warn of a potential decline if businesses cannot find enough high quality, professional cooks to support their chefs, or adequately trained waitstaff to attend to their diners. “What we don’t want is to look back years from now and see a restaurant graveyard,” Vedrinski stated. Vedrinski left The Woodlands to open Sienna, his first Italian-only venture, where he wore the chef’s hat along with the weighty responsibilities of a first-time owner. KV: I learned how to be a restaurateur by going through it—chefs and owners are two very different things. Chefs don’t need to know anything about HR, insurance, and the like. Chef-owners need to be business savvy and understand every single vendor they work with, or they pay the price. As a chef, I never really knew where the money went, but when I opened Sienna, I quickly learned where it was being spent, and especially became aware when it wasn’t there. After handing over the reins at Sienna, Vedrinski looked to the Charleston peninsula for a second course of Italian cuisine. In 2008, he opened Trattoria Lucca as the sole owner, chef, and sommelier. Noticing the rareness of a chef who is also a sommelier, we asked Vedrinski what his understanding of wine brings to his cooking. KV: Italian cuisine has great synergy between food and wine – wine is a huge part of the Italian food scene, and the pairings are important. You can sit down with someone else, a hired sommelier, but it can sometimes feel like you’re speaking Chinese when talking about the ingredients and the flavors of your food. Besides, who knows the chef’s food better than the chef? Being a sommelier makes choosing and pairing the wines so much better. I also love to drink Italian wine and took a huge interest in it. During trips to Italy, I went to the winemakers and saw what they were doing. I know the makers of about half the wines on our list and have been to their vineyards. This helps me understand the nuances of flavors, where they come from, and how they will work with my dishes. I can also help our guests choose a wine while telling them the story of the winemakers and their vineyards—and I think this adds tremendously to the experience at Lucca. Vedrinski opened Lucca contented with the idea that it would be his focus for the foreseeable future; however, the opportunity arose for a new location well beyond the peninsula, one that he saw as a challenge in authenticity. He opened Coda del Pesce in 2013 on the Isle of Palms, a small beach community outside the city that typically catered to tourists. Cultivated from his Italian heritage and travels to Italy, Vedrinski’s understanding of true and authentic Italian cuisine is rooted in the traditional ways of the people in the region—the cuisine is curated by the trades of the Italian people and their use of the land and its resources. He was adamant about maintaining this level of fidelity in what he served, regardless of the address. KV: Italian food is peasant food, a humble and simple cuisine, and each town or region has its own style. They use uncomplicated ingredients from the farmers and artisans nearby, a practice that was once done here with the use of rice and other grains in traditional Gullah cuisine. I see the return of this in Charleston—farming, craftsmanship, and artisanal products coming back—as a very good thing for the culinary industry. But we’re not there yet. Italian in America is mostly “Americanized,” with overly ground meats, cheap ingredients, and the use of too much cheese. Even on the beach, I was not going to do this. I’d go broke before cooking like that. During our talk, Chef Vedrinski humbly abridged more than two decades of restaurant experience through his eyes as a chef, owner, and sommelier. We hope to continue learning and sharing teachings from Ken and other industry veterans as the culinary environment grows and evolves.